Living room is the place where you spend most of the time with your family especially with your kids. Follow these tips for making living room safe for your kids and toddlers. Control on the rate of pest in your living room, as child are very sensitive to pest disease. Take care at the time of selection of living room furniture. Fabric material is more likely for the pest such as bugs. Bugs can greatly and rapidly increase in fabric material, and it is difficult to keep control on them. Bug irritates the kid’s skin and creates some allergic reaction and some can get into fever on bugs biting. Bugs also irritate the elder too but kids are very sensitive to any kind of disease. You need to select leather material for your living room sofa. If your budget is tight pick cheap faux leather sofas instead of real leather. It’s easy to remove bugs and inspect it on leather material. 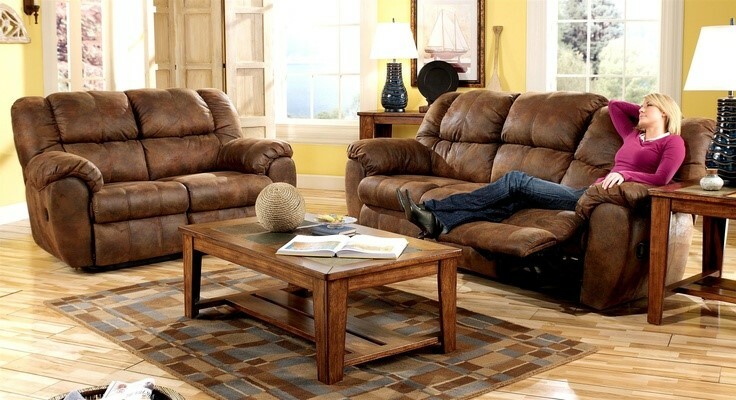 Cheap faux leather sofas also offer quality and durability at low price. Kids are very fond of doing something new. You need to arrange the furniture in the form that it is difficult for children to climb on higher surfaces. Take care of windows especially when your home is on upper floorand in high-rise building, should have grilles. Check all that they are closed and locked to prevent kids form falling over. Small object are very harmful for kids if they try to eat them, which then stuck into throat and cause the breathing canal to stop. Check the sofas cushions, under table, and stools to ensure that there are no items such as button, balls, bottle caps, coins, jewellery pieces, and beads. Baby gates are the small and protective barrier which keeps the toddlers out of reach of the home place where they might be no safe. The unsafe for the kids in any house is the stairways, kitchen, and bathrooms. For preventing your babies from dangerous and wandering areas of house you must need to install baby gates especially on the top and bottom end of staircase. Baby gates are in the form of wood, plastic, and metal. Avoid highly polished and slipper floor as kids can be easily slip and fall. Furthermore, it is difficult for children to run on the floor in their socks. You need to use some non-slippery mats as well, to reduce the chances of slipping accidents from occurring. Panel of Glass: Avoid the use of glass panel on doors or use sticker on the glass panel sliding door or some other form of wearing at the eye level of children to prevent them from unknowingly running into the glass. Electrical Sockets: Try to install the electrical board at some height so that kids cannot insert fingers or pens in the sockets. Pests Poisons: Keep the poisons for rats and cockroaches in the form that they are not accessible to children. Ensure that you have kept all the medicine out of the reach of toddlers. Corner Guards: If your living room furniture and your favourite and cheap faux leather sofas have some sharp corner, you need to make some corner guards. This article is produced by WOODLERS UK. We uploaded this article on their request. WOODLERS store offer furniture items at very reasonable prices with free delivery services all over the UK and one day delivery in London. WOODLERS store showcased all their furniture items like, beds, mattresses, sofas, dining furniture, and living room furniture at their website. To visit all available and contemporary design furniture visit WOODLERS now and furnish your home, hotels, restaurants and offices with WOODLERS furniture.